UPDATE: The AP reports San Diego will serve as the official testing grounds. As the breakfast war continues to heat up, McDonald's is preparing to launch a counterstrike that would make Patton proud. 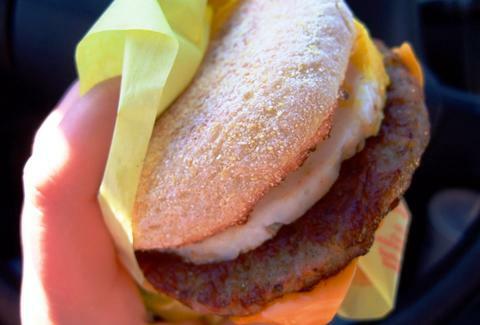 According to CNBC, the Golden Arches plans to test all-day breakfast at select locations in the next month or two, satisfying the public's longstanding cry for afternoon McMuffins. Currently, McDonald's stops serving the breakfast menu at 10:30am on weekdays, and 11am on weekends. But if this new test concept does well, the chain could remove the cut-off time altogether. And it's hard to imagine the all-day menu tanking -- as Consumerist notes, a recent survey showed that 70% of Americans want restaurants to serve breakfast 24/7. Mickey D's hasn't revealed where it intends to test this pilot program yet, but we plan to start ordering hash browns at 10:35am at all nearby locations next month, just to be safe. Kristin Hunt is a Food/Drink staff writer for Thrillist, and could eat hash browns at all hours of the day. Follow her at @kristin_hunt.